Nearly 30 million Americans have impaired hearing. The most common cause of hearing loss in children is otitis media. For the elderly (the largest group affected), excessive noise, medications, toxins, and genetics are the greatest contributing factors. Hearing loss is a medical disorder. In a limited number of patients, it can be surgically corrected; medical devices and rehabilitation can substantially reduce hearing loss in the vast majority of patients who cannot be helped by surgery. The medical specialists who diagnose and treat hearing disorders are called otolaryngologists, head and neck surgeons, or more commonly, "ear, nose and throat doctors" or ENT doctors. Our Hearing Center provides a host of hearing related assessments, treatment options and services for our patients. We use specialized equipment to obtain accurate results concerning hearing loss. These tests are typically conducted in sound-treated rooms with calibrated equipment. Most persons with hearing impairment can benefit from the use of hearing aids, and audiologists are the specialists who are educated concerning the latest applications of hearing aid technology. We also offer a variety of hearing aids including Siemens and Sonic Innovations. Do You Have Conductive or Mixed Hearing Loss or Single Sided Deafness? 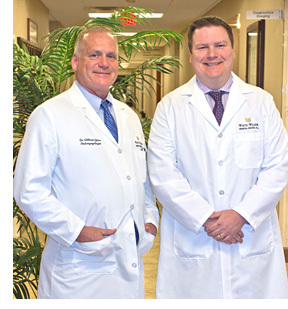 White-Wilson Medical Center offers the Bone Anchored Hearing Aid (Baha). Baha uses the body's natural ability to conduct sound via bone. 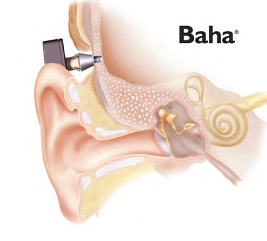 Baha (for mixed hearing loss or single sided deafness) is implanted directly into the mastoid bone bypassing any middle ear space issues and stimulating hearing via bone conduction. Dizziness or loss of balance is a common complaint heard in doctor's offices. Although very common, acute or chronic problems with equilibrium may indicate serious health risks and limit a person's everyday living. The first step to getting better is the proper diagnosis. Most equilibrium problems can be directly related to an inner ear disorder. Our Balance Center provides a variety of balance related assessments, treatment options and services for our patients. 1. A feeling of motion, spinning, or falling when moving your head quickly, or changing your position, e.g. getting in and out of bed? 2. Uncomfortable trying to get around in the dark? 3. Walking down grocery store aisles or through the mall is upsetting? 4. Your feet just won't go where you want them to? 5. A sense of unsteadiness? A feeling you are not surefooted? 6. A fear of falling or stumbling? 7. Looking at moving objects such as escalators or looking out the side window of a car makes you queasy? 8. A feeling like you are drifting or being pulled to one side when walking? If you have answered "yes" to one or more of these questions, a vestibular and equilibrium evaluation should be considered. Call our office at 850.863.8275 (Fort Walton Beach) or 850.269.6400 (Destin) to schedule an appointment with Timothy Skinner, Au.D.